School Supply Net is a fundraising tool for schools and boosters. This platform allows schools to create their own branded e-commerce store to offer products of choice at set prices. These supplies will be drop shipped by different vendors in the marketplace. 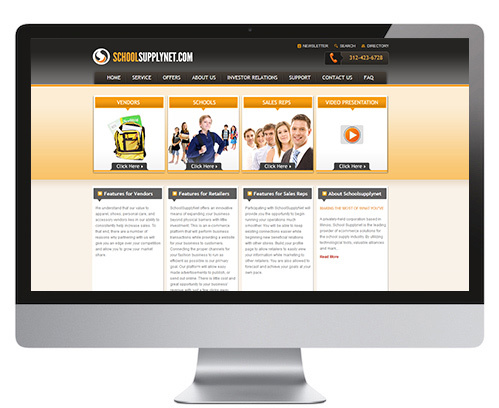 As a provider of e-commerce solutions for the school supply industry, SchoolSupplyNet allows schools to create their own branded e-commerce store in order to offer products of choice at set prices. By using the site, schools can generate funds without ever touching, selling, or maintaining inventory. The site employs technological tools, valuable alliances, and marketing networks across the country in order to help schools instantly connect with trusted sales reps, suppliers, transportation, and marketing specialists. Once products are listed and activated, they are automatically offered to customers. This platform clones the business model of Shopster while also incorporating additional merchandising and logistics features.